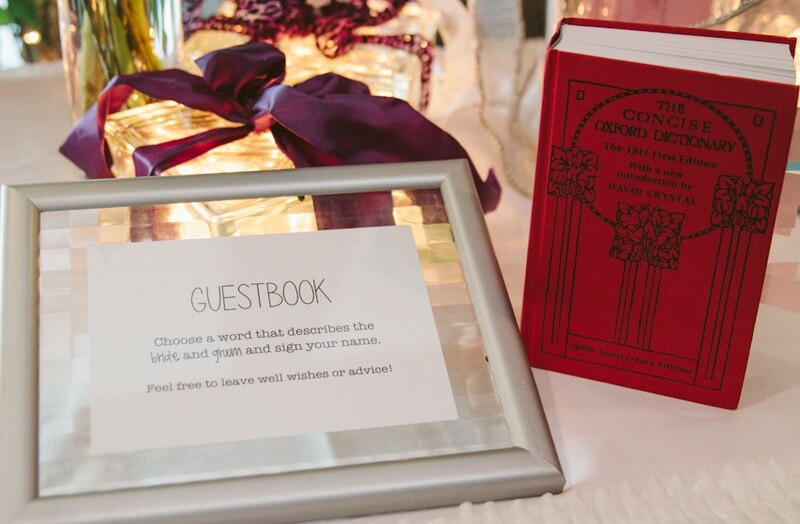 Ask guests to look for a word on a dictionary that best describes the couple and let them sign their name on it! See more photos from this wedding on the source. See this idea using multiple dictionary and thesauruses.